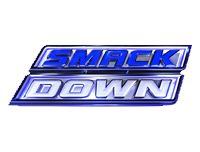 The 5th October 2012 episode of Friday Night SmackDown! starts with Lilian Garcia introducing The Big Show and him making his way to the ring. The Big Show says that he has an opportunity to regain the World Heavyweight Championship when he faces Sheamus at the Hell In A Cell Pay-Per-View, and that Sheamus was joking around on Monday Night Raw (click here for our Raw report) as he had a plan. He says that everybody has a plan until they get punched in the mouth, and that when he defeats Sheamus, Sheamus can take comfort in the fact that he is joining an elite group of victims, as footage is then rolled of Show hitting a number of people with the Weapon of Mass Destruction. Sheamus’ music hits and he makes his way to the ring, where he thanks Show for the heads-up. He says that he wasn’t taking the debate on Raw seriously, but his match with Show at Hell In A Cell will be the biggest fight of his life, so he wanted to come out and say “Let the best man win” as extends his hand for Show to shake. Show snubs the handshake and instead simply exits the ring and leaves up the ramp, until he is stopped by Sheamus telling him that he’s right – everybody has a plan. Sheamus says that Daniel Bryan had a plan at the TLC Pay-Per-View last year, as footage is then shown of Daniel Bryan cashing in his Money In The Bank contract to defeat The Big Show for the World Heavyweight Championship (click here for our TLC 2011 report). Sheamus says that Daniel Bryan also had a plan at WrestleMania, and then suggests seeing how that turned out, as footage is shown of Sheamus defeating Bryan for the title in eighteen seconds (click here for our WrestleMania XXVIII report). The Big Show re-enters the ring and extends his hand for Sheamus to shake, but this time it is Sheamus with the snub, as he walks straight past Show, exits the ring, and leaves up the ramp. Next up, Kofi Kingston and R-Truth take on Titus O’Neil and Darren Young in the next opening round match of the Number One Contender Tag Team Tournament, which sees Darren Young get the victory and his team advance, when Young hits Kingston with the double-knees to the gut for the 3-count. Now, Ryback is pitted against Primo in a match which sees Ryback get the victory, when he hits Primo with the muscle-buster (“Shell-Shocked”) for the 3-count. After CM Punk and Paul Heyman are shown walking through the halls backstage in search of Dolph Ziggler’s dressing room, Layla goes against Alicia Fox in a match which sees Layla get the victory, when she hits Alicia with a roundhouse kick to the head for the 3-count. Afterwards, Matt Striker interviews Layla about regaining the Divas Championship, where she says that the way Eve Torres won the Divas Championship is going to make it even better when she loses it. After an interaction backstage involving CM Punk, Dolph Ziggler, Paul Heyman, Vickie Guerrero, and Booker T, in which Booker makes a match between Punk and Ziggler for later on in the episode, Wade Barrett takes on an unnamed opponent in a match which sees Barrett get the victory, when he hits the unnamed opponent with the Souvenir for the 3-count. Next, Sheamus is pitted against The Miz in a match which sees The Miz get the victory as a result of a disqualification, when The Big Show makes his way to the ring, hits The Miz with the Weapon of Mass Destruction, and leaves once again after having sent a message to Sheamus. After a WWE.com video recapping Alberto Del Rio’s attack on Randy Orton after SmackDown! went off the air last week, David Otunga is in the ring and he thanks Alberto Del Rio on what he claims is on behalf of the entire WWE locker room. Otunga is interrupted from talking further by Orton’s music hitting, but instead of Orton making his way out, Alberto Del Rio makes his way to the ring with Ricardo Rodriguez, imitating Orton’s entrance. Del Rio introduces himself as Orton in his attempt at imitation, but he then laughs and says that Orton wouldn’t dare to be in the same building as him, because he knows that he would end up on the floor like a dying snake. He says that he cut off the head of that snake, so believe him when he says this – as he claims he never lies – he is the new “Apex Predator” in the WWE. Booker T’s music hits and he makes his way out onto the stage. Booker makes a Tag Team match between the team of Otunga and Del Rio, and the team about to enter, who are quickly revealed as “Team Hell No” Daniel Bryan and Kane. The match sees Bryan get the victory for his team, when Kane hits Otunga with a chokeslam, and Bryan follows it up by tagging himself in and hitting a diving headbutt for the 3-count. After an interaction backstage involving Teddy Long and Eve Torres, and an interaction involving Teddy Long and Booker T, The Big Show goes against Tensai in a match which sees Tensai get the victory as a result of a disqualification, when Sheamus’ music hits and he runs to the ring and hits Tensai with a Brogue Kick, as payback for Show doing the same earlier in Sheamus’ own match. After a video recapping the events on Raw involving AJ, Daniel Bryan, Kane, CM Punk, Paul Heyman, Dolph Ziggler, and Vickie Guerrero, CM Punk (accompanied by Paul Heyman) takes on Dolph Ziggler (accompanied by Vickie Guerrero) in a match which sees Punk get the victory, when he hits Ziggler with the GTS for the 3-count. Afterwards, Punk stands on the announce table and says that he has heard it from Bret Hart, Jim Ross, and the fans. He says that he knows what the fans want and he has thought long and hard about it, he says that the fans want to see him step into Hell In A Cell with John Cena. He says that he knows what he has to do is correct that, so at the Hell In A Cell Pay-Per-View, CM Punk… will NOT step into Hell In A Cell with John Cena. CM Punk continues standing on the table and holding his title aloft, while Paul Heyman applauds him as SmackDown! goes off the air.